Hello! Happy Monda– errrr Tuesday! Bank holiday weekends sure are disorienting. I’ve got some possibly good news for anyone still struggling to run the new stable update! Tonight we’re looking at pushing a version of Starbound to the unstable branch (not nightly) that doesn’t require the Visual C++ runtime installer – some of you weren’t able to install that for one reason or another, and it was causing issues. 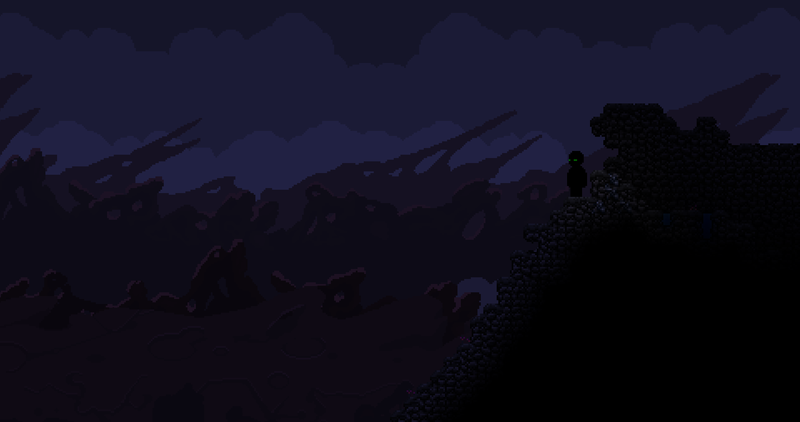 And here’s a peek at the work-in-progress tier 5 Dark Biome! It’s… pretty dark. Bring your flashlight!